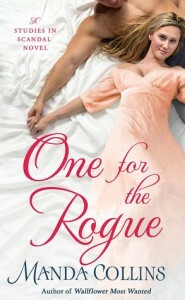 One for the Rogue is a bit difficult for me to review. There are some things I liked about this book. Gemma’s passion for geology and the struggles she faces to be taken seriously are what drew me into the book at the start. And I also really enjoyed the fact that Cam shared her passion and respected her intelligence. At the start of the story, it seemed like this might be an enemies-to-lovers book, but it really isn’t. Yes, Cam and Gemma are at loggerheads in the beginning over something that could have been resolved if Cam had communicated a bit better and Gemma had been a bit more willing to listen. However, a potentially huge fossil find and the threat of a bitter, sexist rival throws our bickering hero and heroine together. Add in some sexual tension and it’s clear that Gemma and Cam are going to be headed down the aisle soon. I liked Gemma and Cam together and it’s clear they fit, but still I thought their romance fell a bit flat. Part of this is due to the lack of character growth; Gemma and Cam begin and end pretty much the same and we don’t really delve deep into their characters. 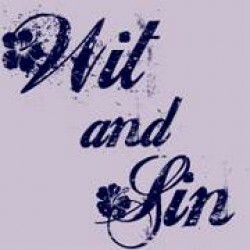 If this were a novella, I might have liked it more because the perceived obstacles to Gemma and Cam’s eventual happily ever after seemed orchestrated to draw out the story rather than organic problems they had to overcome. Woven through the romance in One for the Rogue is a mystery involving a fossil Gemma discovers. I don’t want to say too much for fear of spoiling the fun, but I thought this plotline was the stronger one. Not only does Gemma have to face a jerk of a rival, there’s mystery, murder, and a tiny bit of mayhem. This is where author Manda Collins brings life to the story and keeps the pages moving. One for the Rogue isn’t a bad book, but for me it was just an OK read. I realized after finishing this book that I had the same issues with it as I did with a previous Manda Collins book I read: the characters were likeable and the story had potential, but it dragged in places and was littered with tropes that didn’t have a fresh spin on them. I think Ms. Collins’s writing style simply isn’t for me, so others might find this story more engaging than I did.